There’s never enough time. Each one of us is faced with decisions each day that determine how we spend our 24 hours. Often, time constraints can be frustrating, knowing that there aren’t enough hours in the day to do everything you want to do. This constraint forces us to leave many things that we want to do behind because of other priorities. I’ve always prided myself in my time management skills, and I love finding solutions that save time. For me, saving a few minutes, hours or days frees up time to do more of what I love. Recently, I committed myself to a training regiment to prepare for eight marathons in eight days across Iowa in May of 2014. While the feat in itself will be an accomplishment, the most difficult aspect to the challenge is managing my time as I properly train. I’ve had to get creative to “find” enough time for proper training for the event. Balancing training with being a husband, a father, eating, sleeping, working and having fun has and will require some ingenuity. With everything that is going on in my life, I’ve had to give up or drastically reduce the time I spend doing things that aren’t of high priority right now. I love reading, but I have had to cut down on the time I spend with my nose in a book, magazine, etc. While I could listen to books on my phone while running, I’ve never enjoyed doing this. For reading to be beneficial to me, I need to actually read, not listen. I also enjoy new technologies and reading about them. I’ve always admired those who work to find technology-based solutions to common problems. When I came across Mashable’s article about Weartron’s Run-N-Read device, I was instantly intrigued. The mission of the device is simple – Don’t let running get in the way of reading. A small team at Weartrons is developing a device that allows you to read on your tablet as you run on a treadmill. Now, if you’ve ever tried reading while running on a treadmill, you understand how difficult it can be. It’s very difficult to keep focused on the words that you’re trying to read. 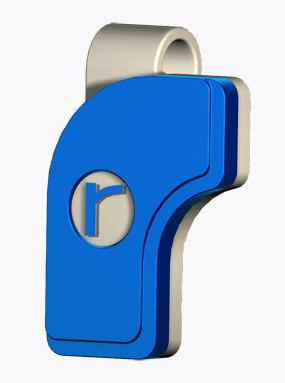 Simply put, the Run-N-Read device clips on to a headband or shirt, and based on your movement, moves the text on your tablet in a way that syncs with your running motion. So, while your head bounces up and down as you run, so does the text. Here’s a video explanation. My first reaction was that this could be a solution not leaving reading behind. Iowa winters are cold, so I plan to be on my treadmill often in the upcoming months. I immediately reached out to Weartrons to see how I could be of help testing and promoting this product. Within hours, they responded to my inquiry, mentioning that they be willing to send me the device to test and review on the blog. Weartrons is currently in the middle of a crowdfunding campaign to raise the funds they need to further develop the product and get it in the hands of people everywhere. If you enjoy reading and running, but many times don’t have the time to do both, I’d encourage you to support this team in their noble efforts. They plan to ship the devices this December. I look forward to receiving the device and giving it a test run. I truly hope it will be my solution to keeping my bookworm title. I will be writing about my experience, and I hope that the device will also add great value to other readers of this blog. Tonight, my hat is off to the Weartrons team for developing a product that has great potential. Love it that you want to read! ‘ they may think of shallow people that only change their appearance out of silly pride. The good side is that you can easily find this information from the many review sites on the internet.